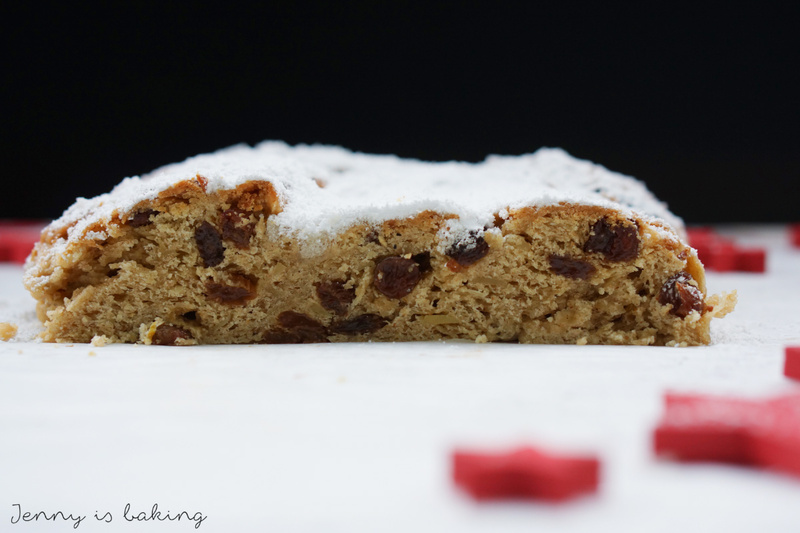 Stollen is not only prefect because it uses tons of spices (macis, vanilla, cardamom), but also tonka bean. Tonka bean has a similar flavor to vanilla, but is somehow stronger and more bitter. It was commonly used in Germany for a long time, then it somehow disappeared from the stores, it was even forbidden in Germany for a while. Fortunately enough, it is experiencing its revival, especially fancy chefs like to use it. Because, let’s face it, almost any spice, regardless of origin, if used in high quantities, may be poisons and dangerous. I at least have to say I am glad that tonka beans can be found again in stores. Just be careful not too overuse it. Obviously the amount stated in this recipe is harmless. I believe one of the reasons why tonka bean was often used in old German recipes instead of vanilla bean, because you can reuse it and thus it becomes cost efficient. I know they appear to be very expensive, but if you compare them to the price of one vanilla bean, it doesn’t sound that bad anymore. The good thing about a tonka bean is that it can be used up to ten times before it actually loses its flavor, so be sure to keep the bean, just wash it off with water, let it dry and you are ready to go another time! But enough about the tonka bean, now the stollen. 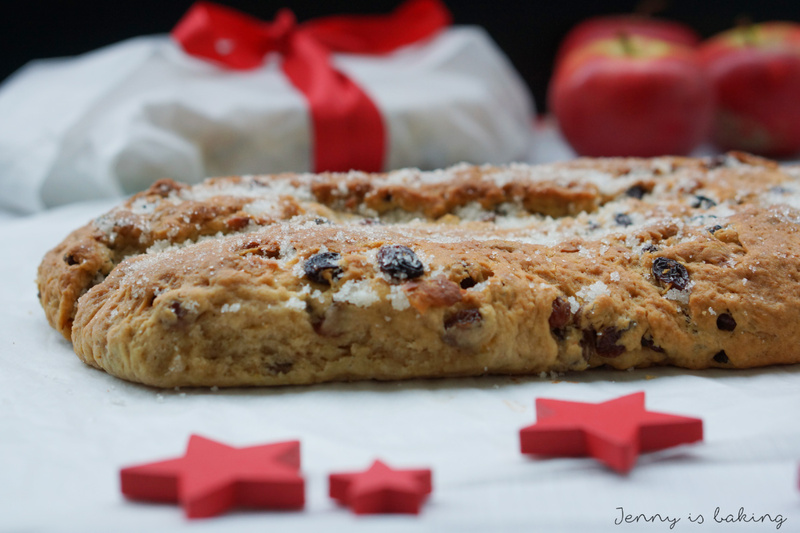 Stollen is a sweet yeast bread, which is traditionally eaten around Christmas. The good news is that you have to prepare it several weeks in advance, so if you start during the next few days, you will have it ready for use around Christmas. No stressful baking marathon during the holidays. Sounds great, doesn’t it? For it to keep this long, the trick is to seal it completely with melted butter once freshly out of the oven. 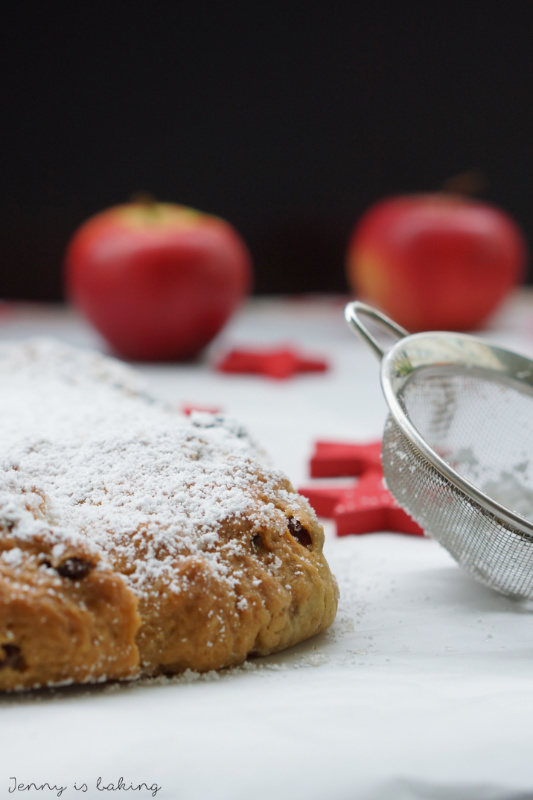 Mind you, stollen is super German, the first recipes can be found already in the middle ages, even though the original recipes were much simpler. It took a while until the traditional recipe was established. One king from Saxony apparently asked for a gigantic stollen to be fed to his soldiers in 1730. The recipe that was used was already much closer to the one we are familiar with nowadays. Today the famous stollen from Dresden is sold in millions and is a sweet yeast bread containing lots of butter and raisins. Since I spent almost ten years in the beautiful city Dresden, Saxony, I decided to go for a traditional Saxon recipe. Dresdner stollen is very rich in butter. There is even a story to it, as oil was very hard to come by in Saxony. Yes, this is a very richt bread and there is a reason why Germans eat it on Christmas only (at least theoretically). But don’t be scared, it is really simple do make. It is a basic yeast bread, the main difference is the amount of butter you add and the spices. But as long as you make sure your yeast doesn’t get cold or too hot, you are good to go, don’t worry, I will guide you along. On the night before boil the milk on medium for 10 minutes with the tonka bean. Leave at room temperature overnight. Take out tonka bean the next day, wash it with water and let it dry. Tonka beans can be used ten times before they lose their flavor. Soak the raisins in the rum overnight. On baking day put the flour, butter and sugar in a large bowl, break yeast into smaller pieces and put on top. Slightly heat the milk until it is lukewarm and add to the flour mix. Be sure that you can still touch the milk with your finger, otherwise let it cool slightly. The yeast will die otherwise. First knead with a kneading machine, then with your hands. Be sure to knead the dough for five minutes. Now add all the raisins and spices given, including the lemon zest. Knead again for at least five minutes. Cover with kitchen towel and let rise for about an hour or until double in size. Take out dough and knead again, divide into three parts. Form three logs. Place two logs side by side on a baking sheet lined with parchment paper, hugging each other and place the third in the middle on the top. Form everything into a loaf with a top. Cover with kitchen towel and let rise for about 20min. Preheat oven to 180 degrees Celsius. Place a container with water on the bottom of the oven. Bake stollen for about one hour. Remember that the stollen will spread. Once fresh out the oven, immediately brush fully with melted butter and sprinkle with normal sugar. This step is crucial as the butter seals the stollen. One of the main reasons why stollen keeps for several months is precisely due to sealing it with butter and sugar. Let cool off completely. Cover tightly in plastic wrap and keep in a dry and dark place for weeks. Shortly before serving generously sprinkle icing sugar on top, the stollen should be fully covered. Stollen keeps fresh for several months. It is crucial that it was sealed completely with melted butter and sugar right after baking. If kept in an airtight container, it will taste best after a few weeks. It can also be frozen. Once cut, it will keep for about a week at room temperature. As always, I am also taking this to the link party Fiesta Friday. Hi Rachael, both can be found in grocery stores here in Germany. You may replace the tonka bean with a vanilla bean instead. Macis blossom is the flower from nutmeg. You can replace it with nutmeg. Hope this helps! Macis is mace, the dried aril of the nutmeg. Thanks, Brett, for the clarification! Lovely choice Jenny! In the last 2 years I’ve been making something similar. And this year I’ll be making your recipe. Yummy! Please let me know how it turns out! My Colombian husband LOVES this recipe! I found tonka bean in Rewe. If you need help, please let me know. Can we use dried instead of fresh yeast? 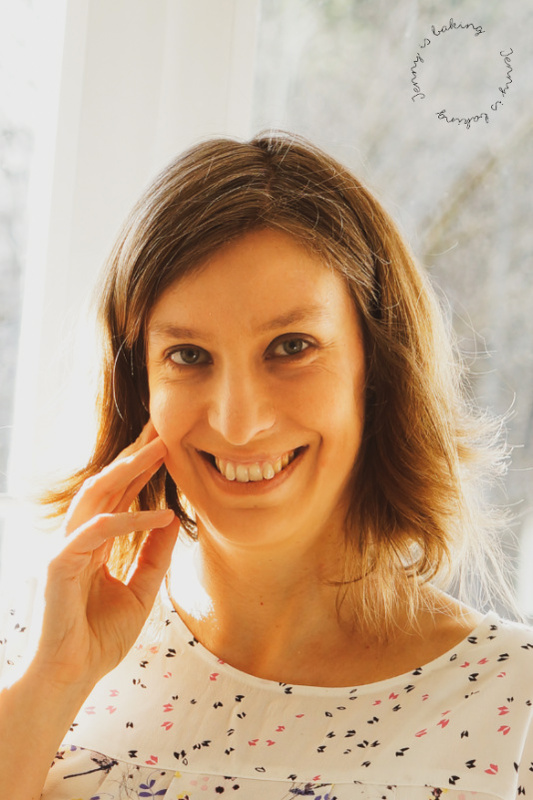 Yay, so happy to hear that! Let me know how it turns out! I’m looking forward to trying this! 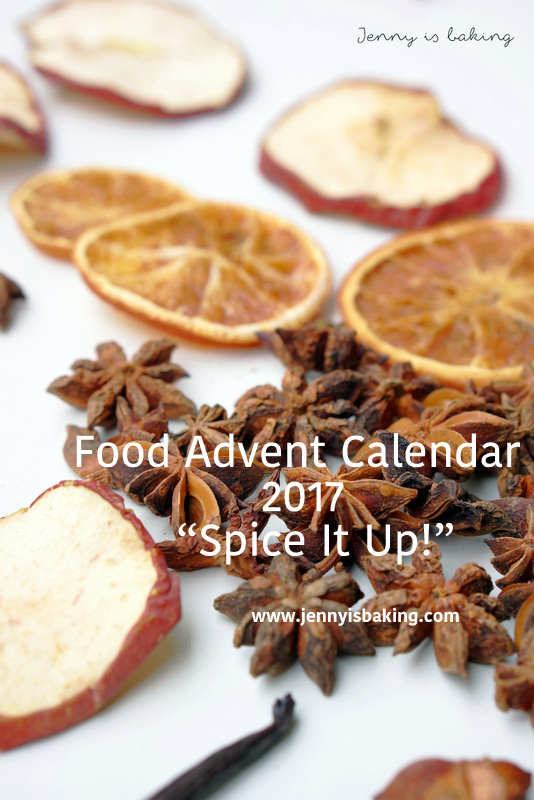 I love how you use tonka bean in this recipes. 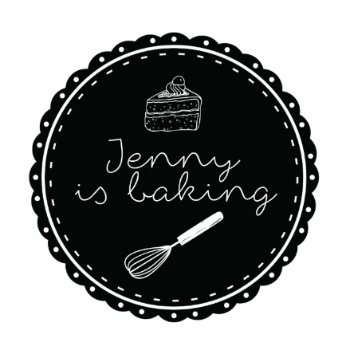 Hi Jenny–This bread looks fantastic. It kind of reminds me a fruitcake which, over the years in the U.S., got a bad reputation from the processed store varieties but is actually very good homemade. Thanks, it actually is super tasty and beats any store bought ones! Wow, this bread sounds great! Do so! It is awesome!